Repetititive body movements or behaviors. 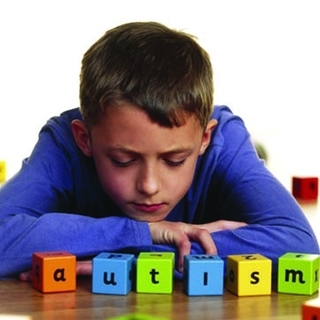 Be aware that “autism is a neurological disorder that affects the functioning of the brain.” Although the effects vary greatly, autism may impact communication, social skills and processing information. Know that the person may be socially awkward and have difficulty making eye contact and interpreting nonverbal cues, such as facial expressions, gestures and tone of voice. If the person has difficulty in interpreting nonverbal cues, be clear, direct and specific in your communications. Keep in mind that the person may be sensitive to touch, sound, light or color. Be patient, since the person may tend to focus on particular objects. Be aware the person may quietly talk to herself frequently.